IWASSA Co.: "Microsoft" launches the first update of the system "Windows Phone 8.1"
"Microsoft" launches the first update of the system "Windows Phone 8.1"
Launched the "Microsoft" on Monday the first radical renovation of the 8.1 version of the operating system its "Windows Phone" brings with it a number of new features and enhancements. Among the most prominent advantages brought by the update-oriented developers to feature "Live Volders" Live Folders, which allows users to create folders includes a number of applications in one place, in a manner similar to the system provided by "Android" and "IOS". And brings a new update, which comes under the name of "show 1" Update 1 possibility to choose the number of SMS text messages to resend or deleted, as well as some improvements to the service icon "Xbox Music" Xbox Music. However Reload "show 1", users can now system "Windows Phone 8.1" in the United Kingdom, China, Australia, Canada, India, the use of PDA "Cortana", after that it was confined to the United States. 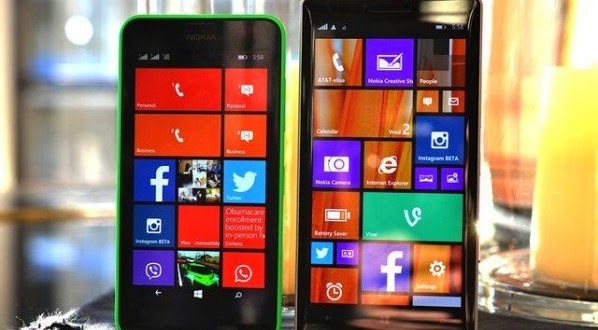 Developers can get the new update now by checking the updates on their smart phone operating system "Windows Phone 8.1", and this is expected to be the launch of the update to the general users in the coming months.